I have been cooking in the crockpot for years. It is one of the first ways I learned to cook, actually. I grew up watching my mother us it, but she mostly made pinto beans and roasts in it. As I became a busy mom, my search for easy recipes became a must and my crockpot became my number one kitchen tool. I do get questions from readers about cooking in their crockpot. Sometimes their food does not come out the same as my photograph. I own a couple of crockpots. The one I use in 95% of my recipes is my 6 qt. oval. It has a digital timer. I can set it for 4 hours or 6 hours (which is considered high) or I can set it for 8 hours or 10 hours (which is considered low). Once the cook time is done, it automatically switches to warm. I highly suggest getting this type of crockpot because you do not have to worry about over cooking, burning food, etc in the crockpot. This is especially handy when you’re not going to be home during the day. Afterall, the beauty of crockpot cooking is to cook with very limited babysitting. Your crockpot should be 1/2 to 2/3’s of the way full when cooking. Never fill it all the way to the top- it will take forever for it to cook your food. This is why I use my 6 qt. I am cooking for a large(r) family. So, when I put 6 chicken breasts into my 6 qt crock, there is room for the heat to move around. If I took those same 6 chicken breast and put them in a 4 qt crockpot, it would take them longer to cook. Make sense? 1 hour on high is like 2 hours on low, when your crockpot is at the proper cooking level. A crockpot does not really reduce liquid. If your dish is too soupy when the cooking time is done, out it back on high and take the lid off and cook for another half hour or so. It will reduce a bit. Dairy products seem to separate in the crockpot. Generally, it is best to add these in the last 30 minutes or so of the cooking process. Every time you take the lid off of your crockpot, you add about 20 minutes of cook time. I throw chicken breasts into the crockpot frozen all the time. It is ok, I promise. Beans leave a weird residue to the inside of your crockpot. It is a starchy film. This is normal. If it does not come out of the dishwasher clean, use some vinegar on a paper towel to wipe it clean and then rise. Or, just know that it will likely come off the next time you cook in it. The starch residue is ugly, but not harmful. Removable crockpot inserts can totally be cleaned in the dishwasher. Just make sure it is 100% cool before putting it into water or it can crack. I learned that the hard way. If your chicken breasts come out of the crockpot dry, try recipes that involve covering the chicken completely in liquid or try using dark meat chicken like thighs. Many recipes can be adapted to become a crockpot recipe simply by reducing the liquid content by about 20%. 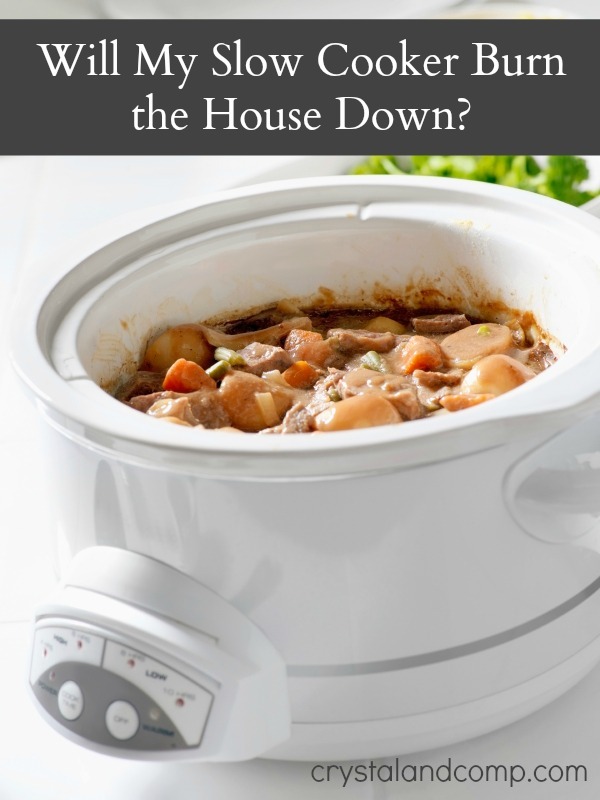 Are you scared to cook in your slow cooker? Here is the solution that will ease your mind and my favorite slow cooker! My husband tried cooking frozen chicken breasts in our crock pot. It definitely worked. I cook my chicken breasts frozen all the time. Such a great time saver! My husband always takes the lid off the crockpot too! What’s the deal with that? I put a sign on the lid handle that says, “NO TOUCHIE” as a reminder lolol! This sure is helpful! I use my crockpot all the time, but still have lots of room to learn. Thanks so much for the tips, now I’m off to check out that ravioli! I’m like your mom and mostly use mine for beans and roasts! Thanks for the tips, I need to branch out! Thank you so much for the tips. I don’t use mine like I should. Good tips. Frozen is the way to go especially for breast… they can easily get over cooked in a crockpot. Thanks for sharing this on foodie friday. Diane- I agree 100%. Most of the time my chicken breasts are cooked in the crockpot frozen. Great tips! My crockpot recently went kablooie during a power outage/power surge. We are on the prowl for another, so I’m hunting down reviews for a good one. I think I might splurge and get one with a lid that clamps down for travel, as we often participate in pitch-ins. To be able to easily travel with a sloshing crockpot full of soup or chili would be awesome. Thanks for linking these crockpot tips to Food on Fridays! Excellent tips Crystal! I just broke out our crock pot last week and can’t wait to get cooking! Thanks so much for sharing at Mom On Timeout! I use slow cooker liners all the time. Cuts cleaning time to zero. I also fill them the night before, twist tie it and put it into the fridge overnight in a bowl. In the morning all I have to do is put it into the crock pot, take off the twist tie, cover it and turn it on and I’m done with dinner! Love that time saving idea. Thank you for totally wondeful and easy recipes Crystal!! Thanks Jenny for stopping by. Many people love the crockpot liners. I am so glad you shared your experience with them. Believe it or not, I have never used them, but I know many folks who do. And thank you for your kind words about my recipes. I am so glad you enjoy them and find them to be easy. Have an awesome Thursday! Oh My!! I love the crockpot liner idea! Are they available in Australia??!! I hope so! Here are some of my favorites with built in timers. thanks a lot I am going to try out crock pot cooking 1st time ever! only thing is i have to plan like 4-8 hrs for the meal to be cooked-compared to if you cook on stove like maybe 1 hr. or so depending on what is being cooked. The tops of my meat tend to dry out, and I’m not sure if it’s that I’m not adding enough liquid OR cooking it too long. What do you suggest? Right now, I just don’t want to use it anymore, but really need to otherwise we’ll be eating out more often than not. Then your crockpot size is too large for what you are cooking. If it is less than half filled with food, things will cook quick and can dry out. What are you cooking that is drying out? Can you add more liquid? I spray the inside of my crockpot with vegetable oil spray (like Pam) before I ad my ingredients. Cleans much easier! Smart!! Love this. Thanks for sharing. That’s the same crockpot I have! I love it and I used it a lot! The only thing that makes me sad is that the lid broke and I can’t find the right replacement. I have to use foil to cover it and I feel like it doesn’t cook as well now. For many sized lids and so cheap just go to a thrift store. They usually have lots of different sizes. 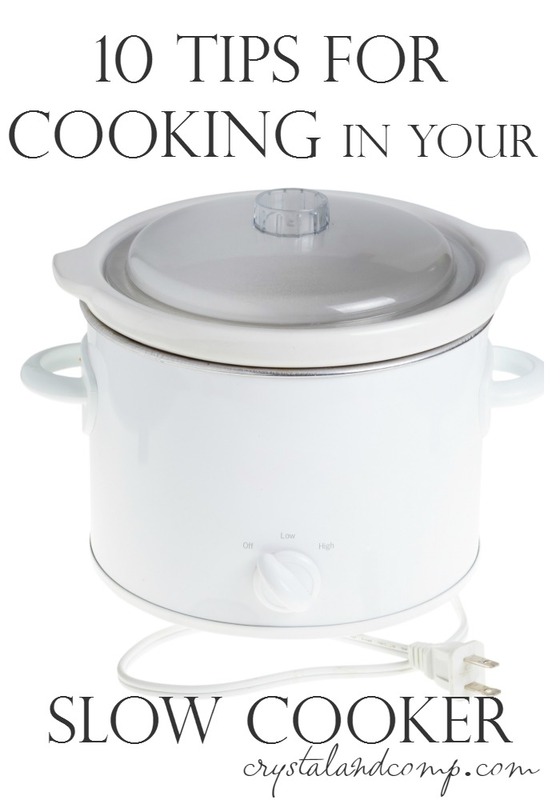 Take your crock pot with you and tell the helpers there what you are looking for. I have got lids there for 10 cents and at the most 25 cents. A great place to buy beaters for you food mixer also! A great post with very good tips! Hope you are having a fantastic day and we are so excited that you shared your post with Full Plate Thursday. Yay! What an honor. Thank you so much Miz Helen!